Check in time is 2 PM unless arrangements have been made in advance. Check out time is 10 AM unless arrangements have been made in advance. Clean towels are provided every day. Fresh linens are provided for longer term guests. Individual room cleaning is not provided on a daily basis. For more information, contact the main office (941) 778-2577. 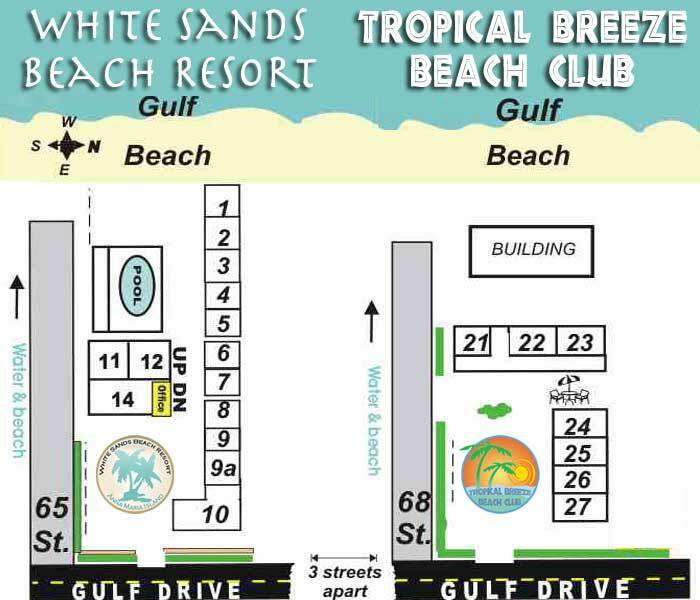 These beautiful deluxe one bedroom Apartment are non-smoking and have a balcony overlooking the pool and Gulf of Mexico. The living room has a 50 inch plasma TV, Dvd player, Playstation2, fireplace, leather couches with a queen sofa sleeper and Breakfast bar. The over sized bedroom has 2 Queen beds and walk in closet. The kitchens has a 5 peace dinette set and is furnished with pots & pans dishes, toaster, coffee-maker, range/oven, & refrigerator, towels & linens, family room, Free wireless internet, Free local calls, free video, free assigned parking, smoking area, and free local Trolley. Sorry- No Pets allowed. Check in time is 2 PM, Check out time is 10 AM. Clean towels are provided every day. © 2019 Wonderwave. All rights reserved.